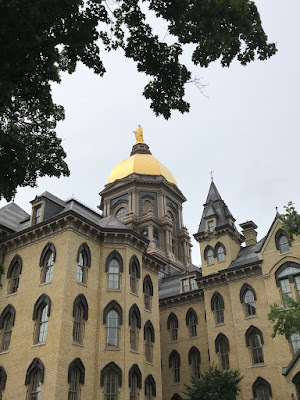 For the past six years I have been making my way to the University of Notre Dame in South Bend each summer to attend the Shakespeare Festival. I have a son who has been involved in a youth theatre group where they do a Shakespeare production each year through their Education Through Theatre Program. In mid-July, he and his fellow youth actors take the stage at Washington Hall on the campus of the University of Notre Dame for Shakescenes - a variety of Shakespeare-related skits from several youth theatre groups. As I was cleaning out my inbox this week, I noticed an email from the Palmer House Hilton for a special July deal with rooms for this winter starting at $115 per night. I'm tempted to plan a little getaway because that is a great deal - especially during busy times of year. The deal is good for bookings through July 31 for stays from November 16 - January 31. When I hit the link and plugged in a couple dates, I came up with rates even lower than the advertised $115. I found some dates as low as $94. The email also took me back to a couple years ago when my son and I stayed there in January when we attended the Cubs convention. 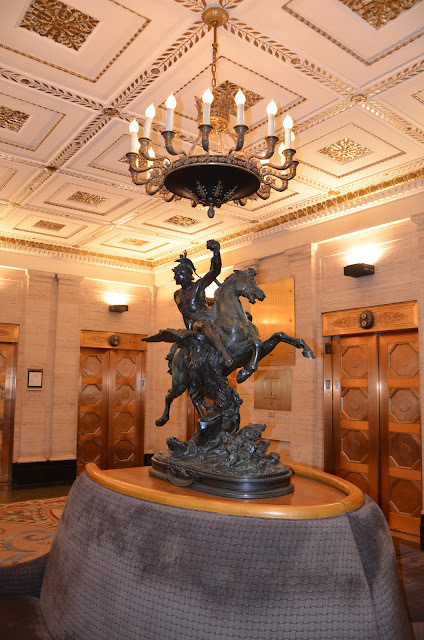 This Chicago hotel is a historical and architectural gem built for business magnate Potter Palmer. It is said that the hotel was a wedding gift to his bride Bertha (who was 23 years younger than him.) The hotel burned in the Great Chicago Fire just 13 days after its grand opening. He rebuilt and the new hotel opened in November 1873.